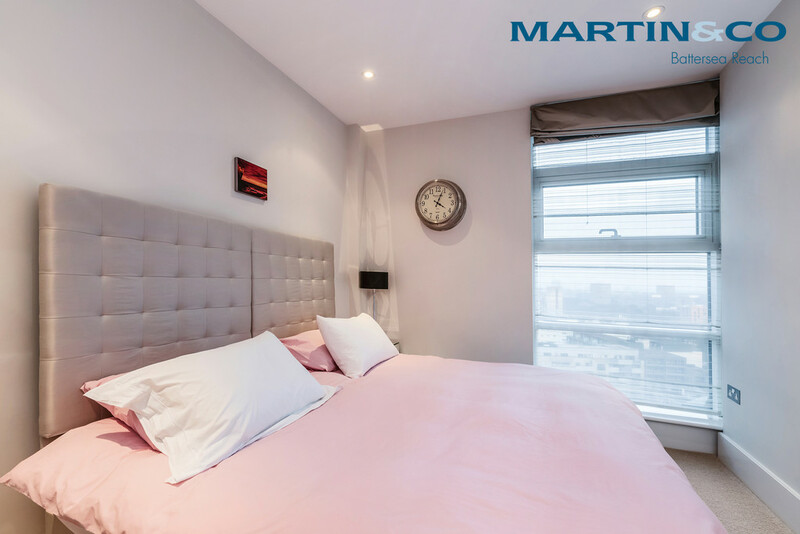 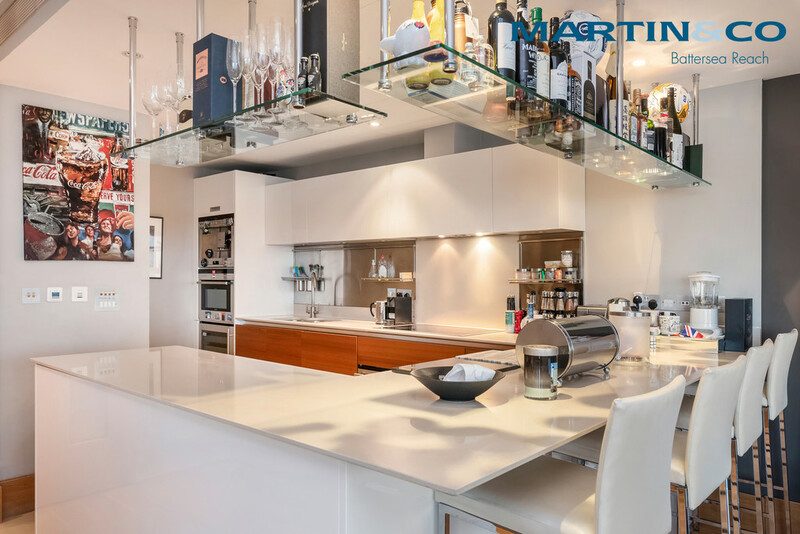 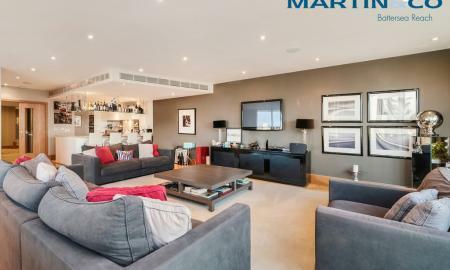 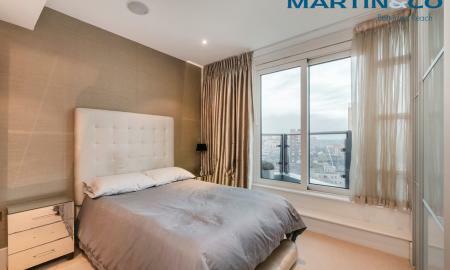 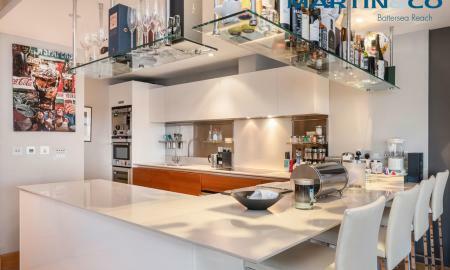 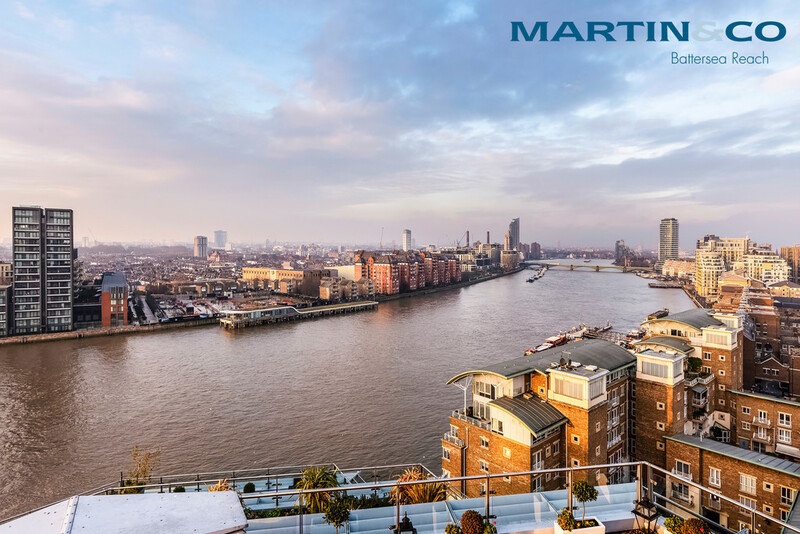 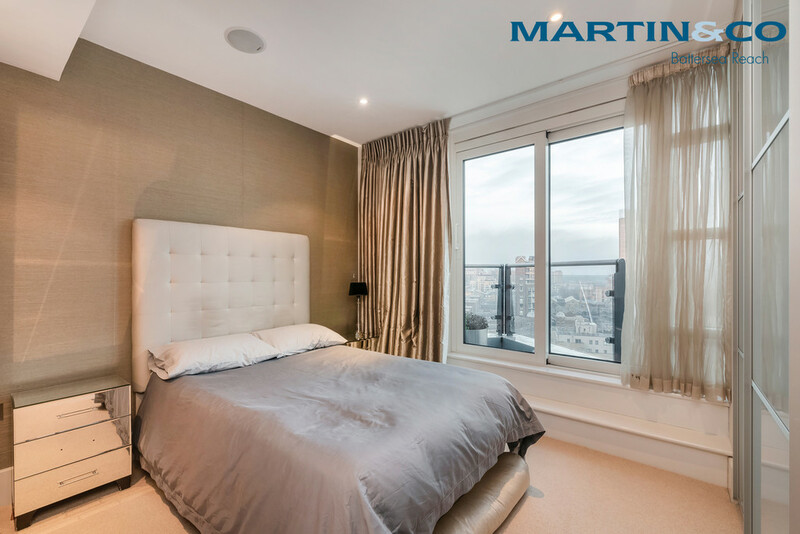 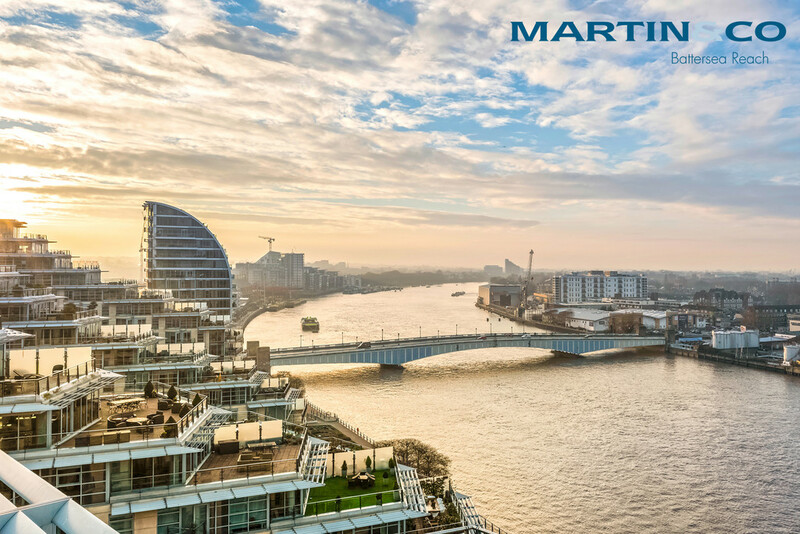 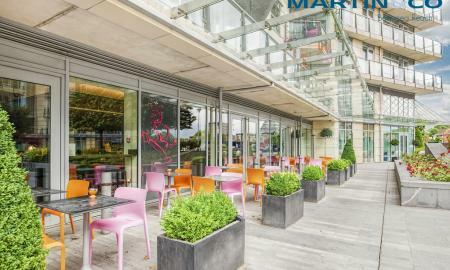 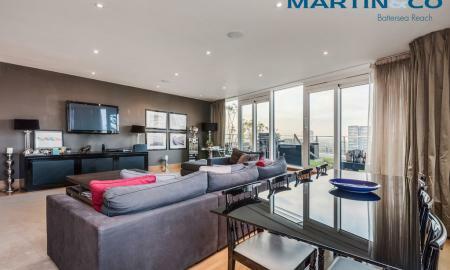 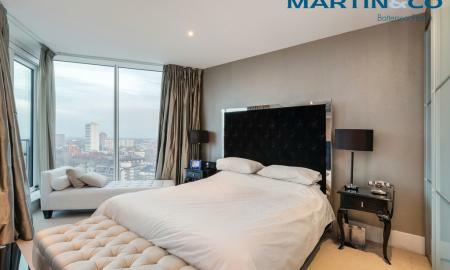 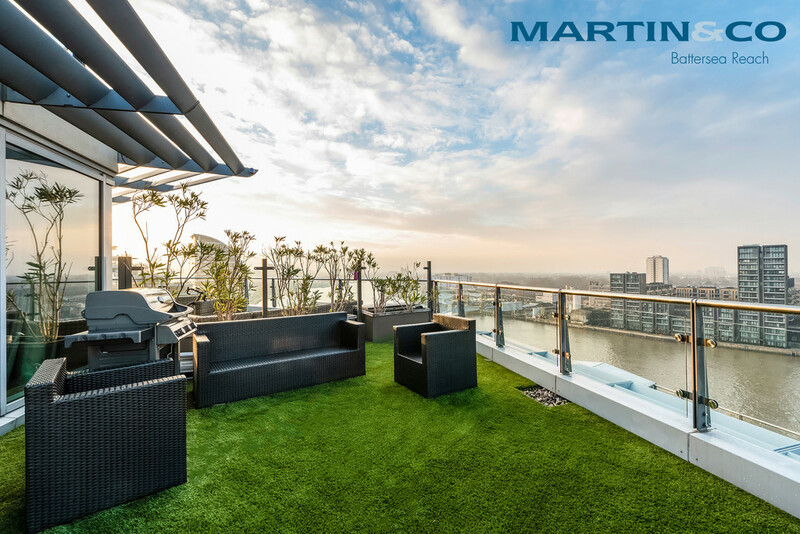 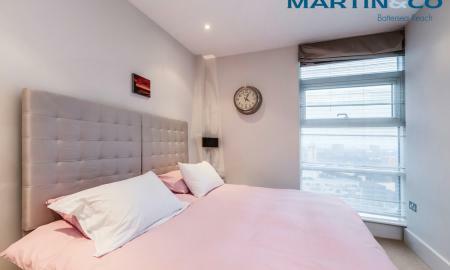 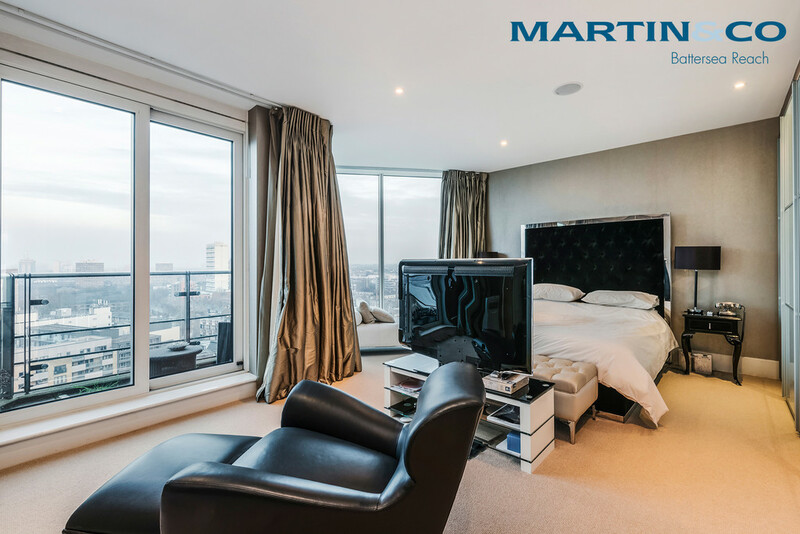 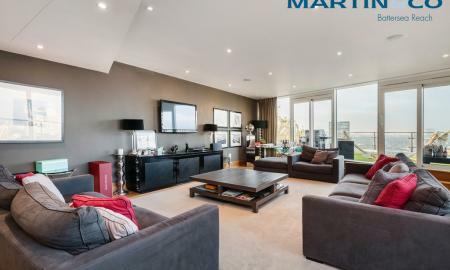 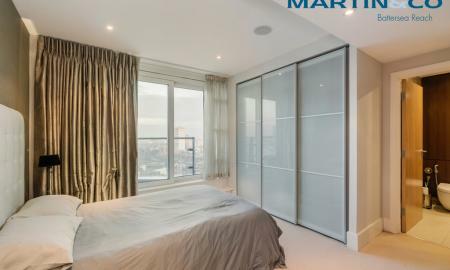 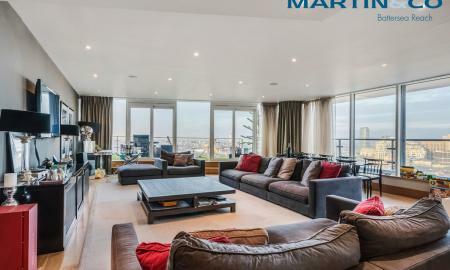 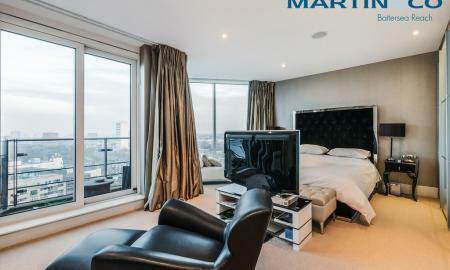 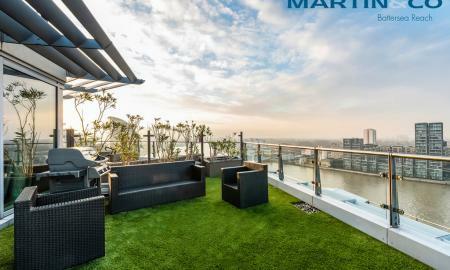 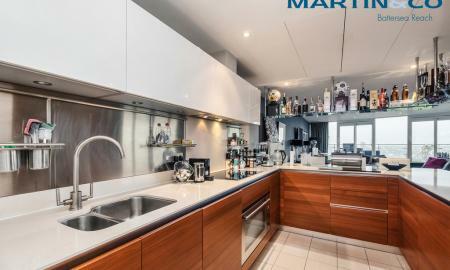 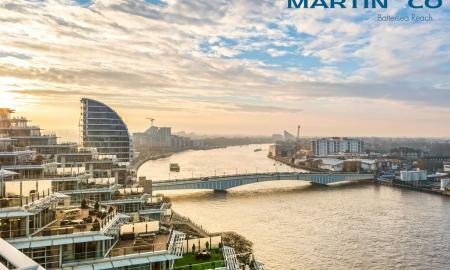 This superlative 12th floor sub penthouse boasts stylish furnishing, secure underground parking & a river-fronting terrace hosting panoramic Thames vistas. 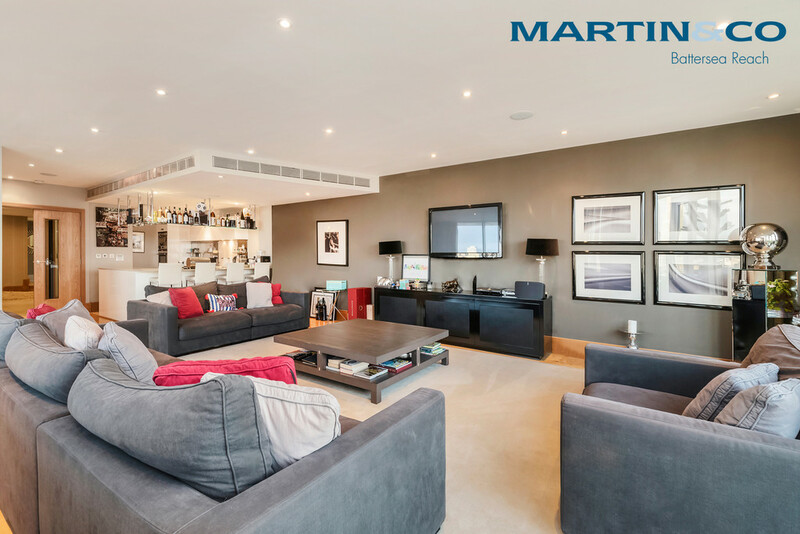 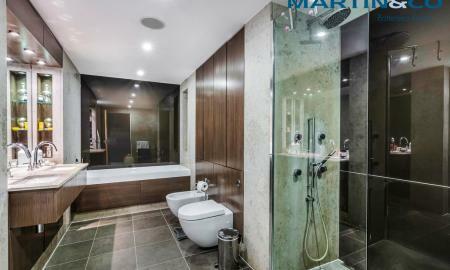 Spread over approximately 2,200ft², sublime accommodation comprises a stunning master bedroom, three further double bedrooms, three luxurious bathrooms (two en-suite), grand dual-aspect reception with dining area, breakfast bar & elite specification kitchen. 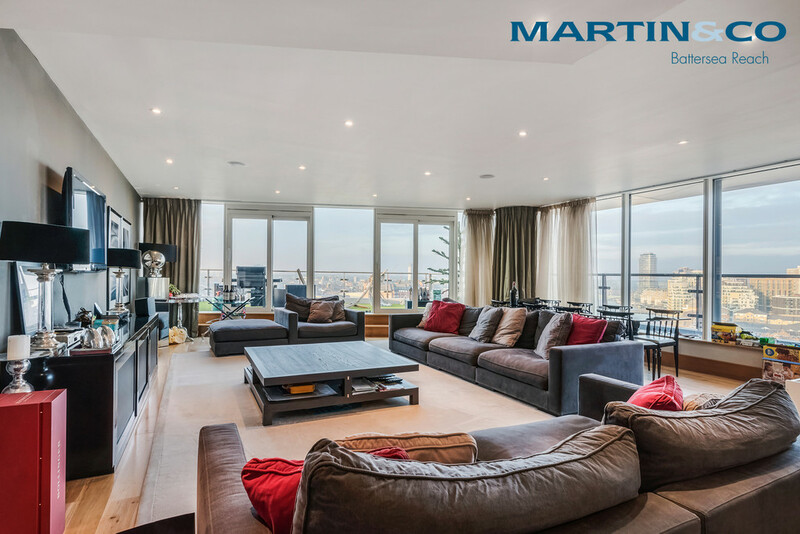 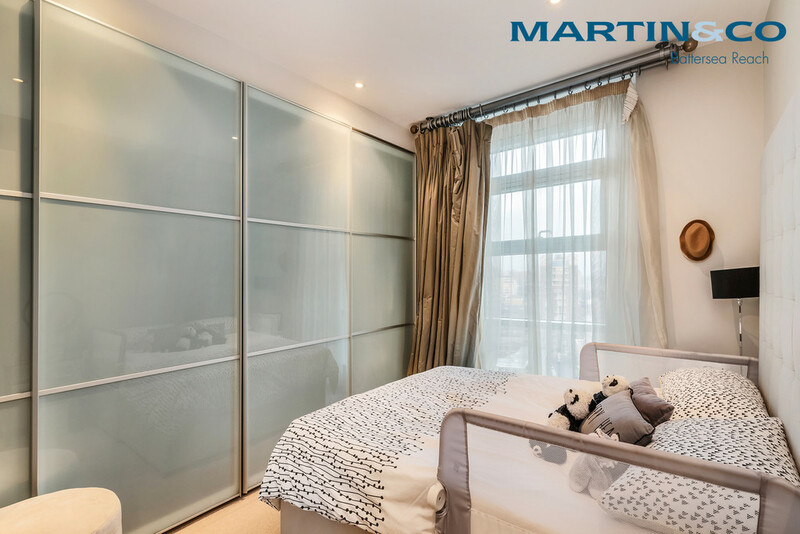 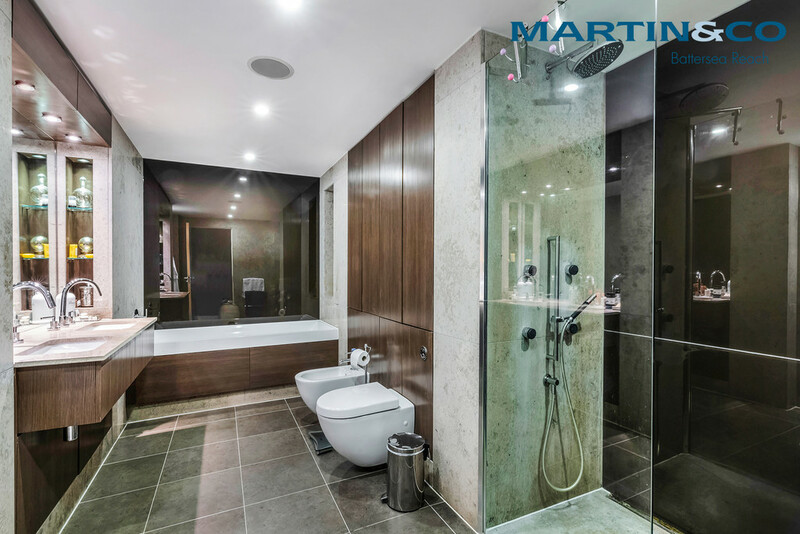 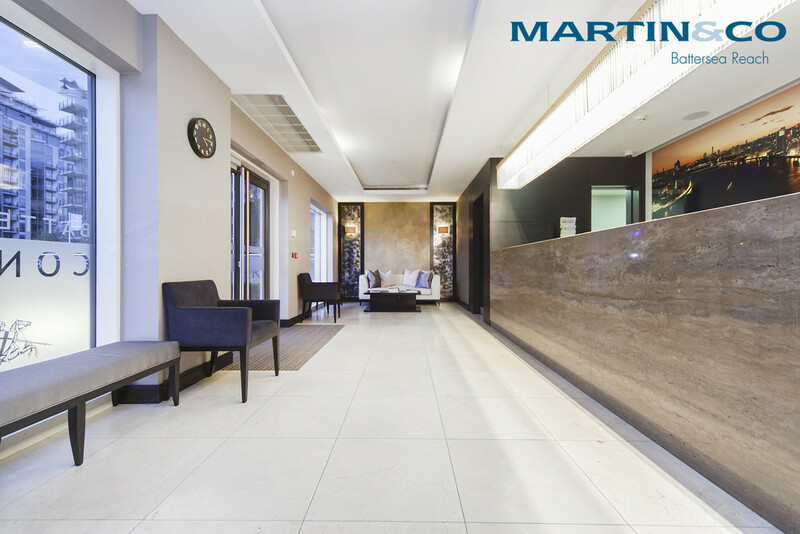 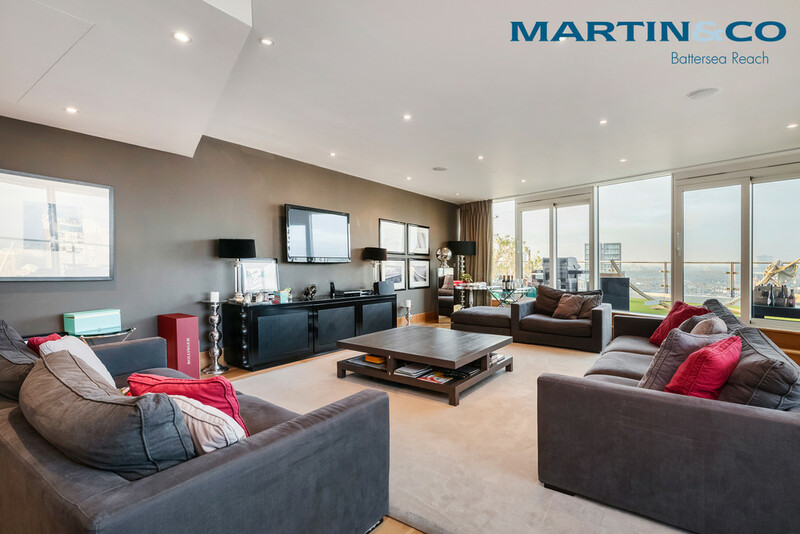 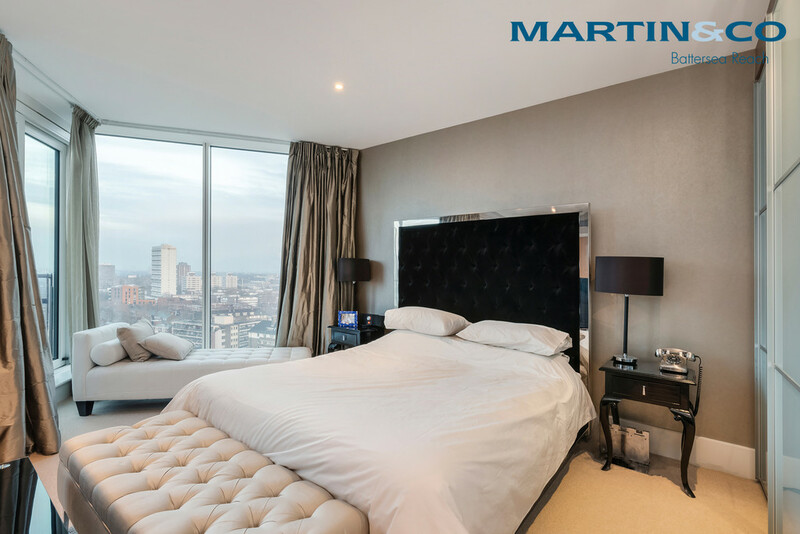 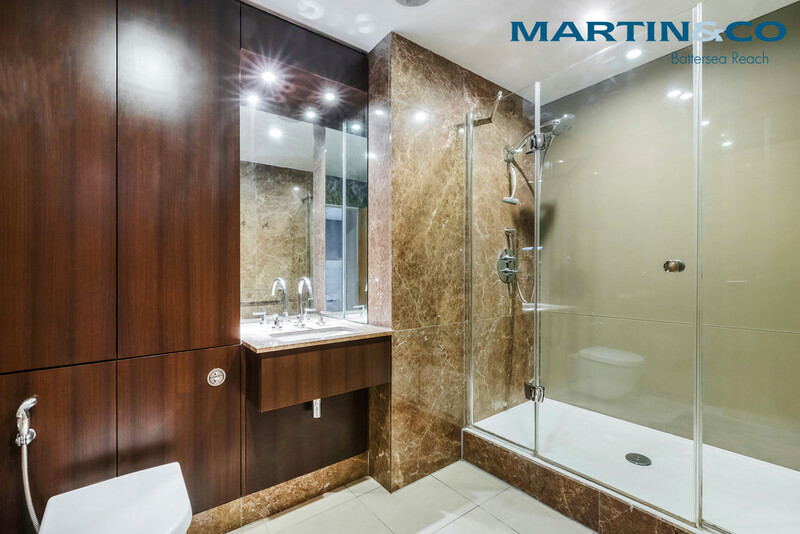 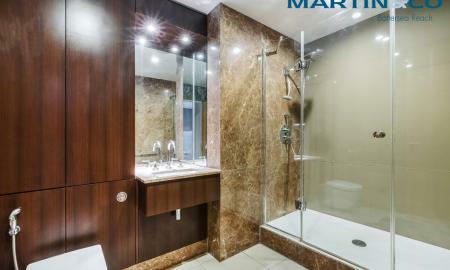 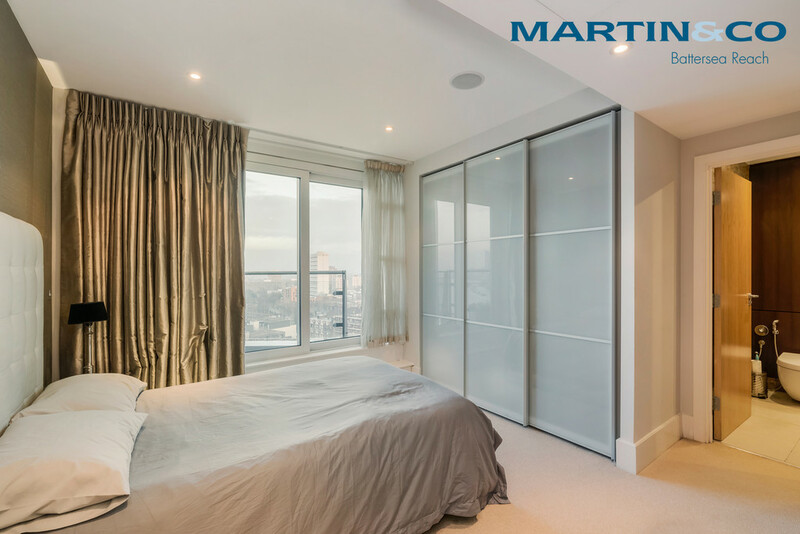 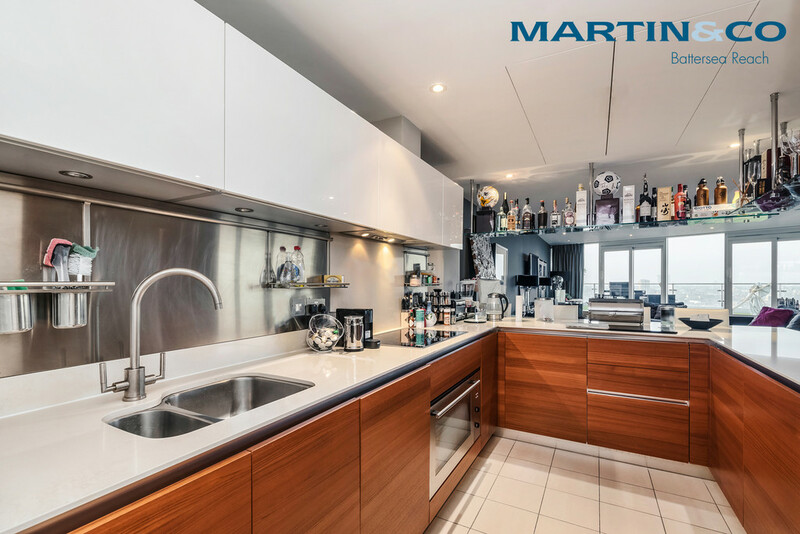 The exquisite interior features fitted Siemens appliances, walk-in wardrobes, marble surfaces, comfort cooling, mood lighting, wood floors, underfloor heating & separate utility cupboard. 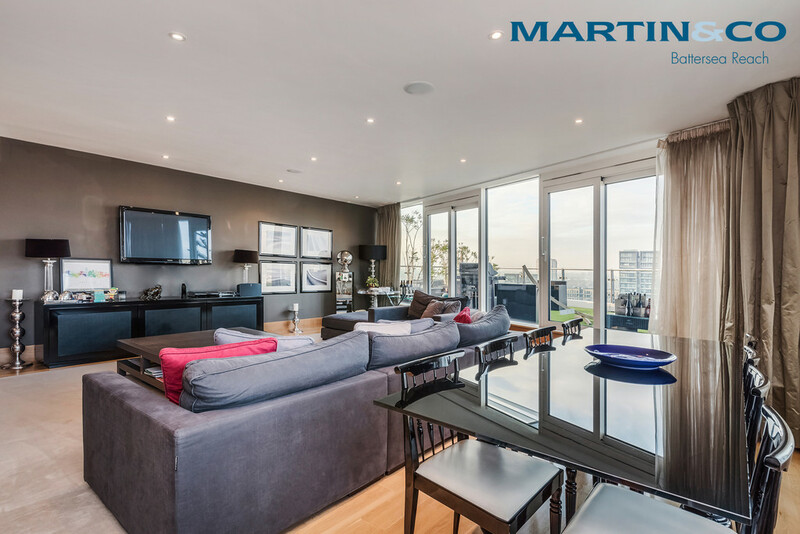 Floor-to-ceiling windows immerse this stunning property in natural light, while two additional side balconies afford city views. 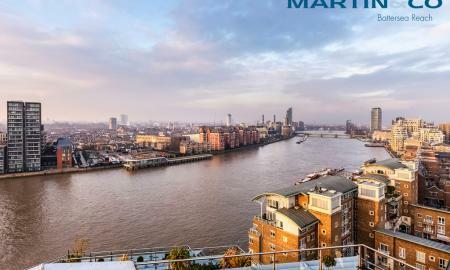 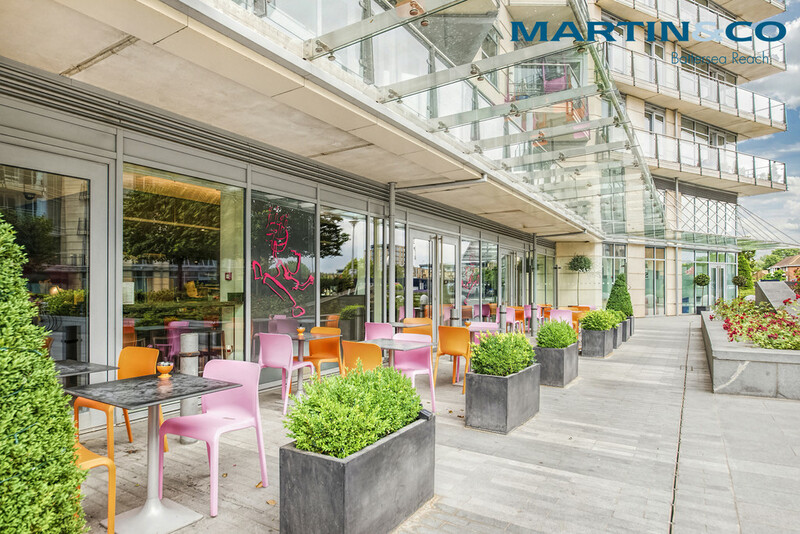 Battersea Reach is an award-winning riverside development, located moments from the transport links of Wandsworth Town & Clapham Junction. 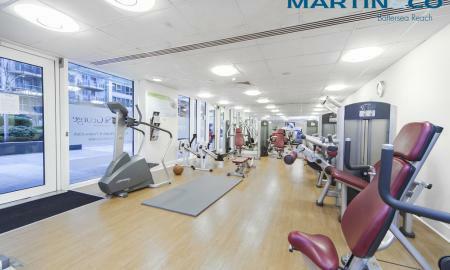 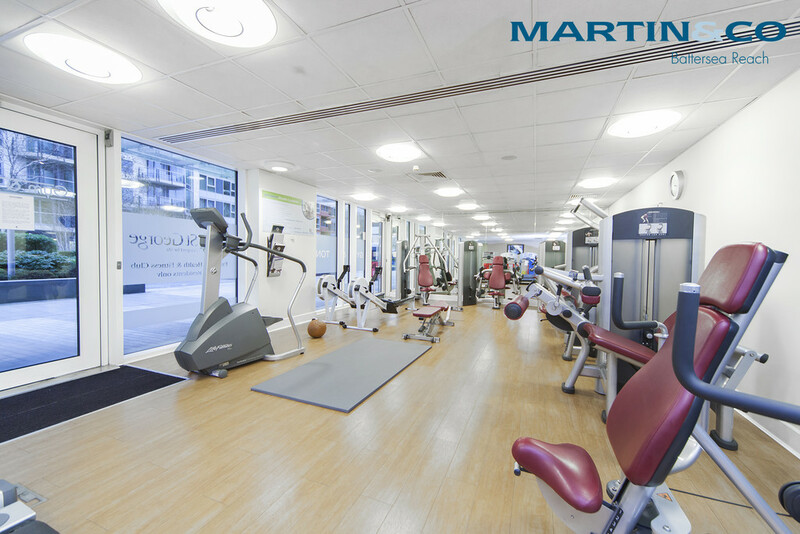 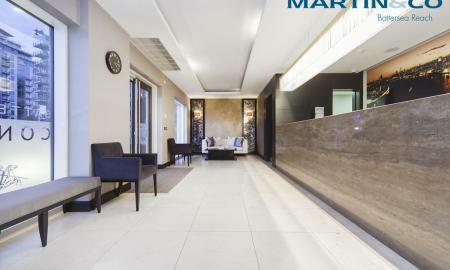 Residents benefit from 24-hour concierge & an exclusive gym, as well as on-site amenities like Tesco Express, Young's Bar & Restaurant, Cake Boy Patisserie Café, yue float wellness centre, healthcare clinic & beauty salon.